Commercial Complex Brick building with approximately 6,000 square feet, designed for six office spaces, but can be tailored to suit tenants'/owner's needs. Plenty of parking. 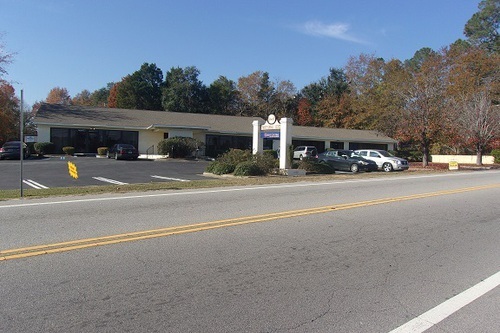 Located on busy Highway 278 accross from Captain Mac's Restaurant, this commercial complex is in a prime location for exposure. Call Sally for current rental information.